How Effective Are Your Nutrients? Nutritional supplementation is a vital component of all natural healing processes. Yet, trying to decide which nutrients are right for you from a collection of nutritional facts can be an overwhelming and confusing task that will produce inferior results at best. There is far more to the scope of natural medicine than researching nutritional healing guides, fad diets or taking some detox formula or headline nutrient based on the latest research. Interestingly, clinical evaluations with new patients, who previously self-prescribed nutritional supplements with the intention of improving their health, typically demonstrated this very fact. The vast majority of the supplements used by these patients were either not appropriate for their health condition, ineffective and doing absolutely nothing, or exacerbating their present symptoms. Such is the problem with what Dr. L’Hommedieu commonly refers to as “paper nutrition.” It is the application of nutritional “facts” from studies that are irrelevant to the individual’s true underlying health issues. For this reason, “paper nutrition” typically provides inconsistent results, even when the cause of symptoms appears obvious. A number of factors can exist with any given health condition. Whether the symptoms are similar or the same, each condition could require a different nutrition solution. Therefore, nutrients that may help you may not provide the same help for someone else with a similar symptom profile. This is why it is essential to know the details about your health. Only then can natural medicine work effectively to resolve your imbalances. Advanced natural medicine is an innovative nutritional strategy that is specific, potent and complete with the precise nutrition you require. This means you get more of the nutrition you need to where your body needs it most. “All-in-one” formulas, “miracle” supplements and “hit and miss” generalized nutrition do not fall in the category of effective health care. Effective health care provides the necessary forms and balance of nutrients that addresses your specific requirements necessary to restore health and prevent disease. Dr. L’Hommedieu can help determine your chemical imbalances, nutritional deficiencies and toxicities causing acute and chronic symptoms or simply dragging your energy down. He can then provide the right treatment and nutritional support you need to correct deficiencies and begin the process of reversing imbalances. Only when interferences to your health are removed can the rest of your nutrition be properly utilized to do what you intend it to do: Heal your body. Dr. L’Hommedieu wants you to receive maximum benefits from the nutrients you take. This is why he developed a synergistic approach designed to deliver effective nutritional support. Quality synergistic nutrients complement each other to make the sum of their therapeutic effect greater than if each was taken alone. Optimizing nutrient synergism provides maximum effectiveness for restoring your health and energy. This synergistic advantage is especially important for those with complex health disorders in order to help improve an otherwise poor chance of recovery. 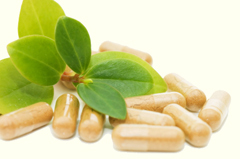 Dr. L’Hommedieu provides the finest bioenergetically active nutritional supplements. The question is: Do you know the quality of the supplements you are taking? Most people do not. Some believe they do because they purchase some nationally recognized brand, but that is not a guarantee of effectiveness. Dr. L’Hommedieu found that many of his health conscious patients that used nutritional supplements before coming to him were unaware that their supplements were not doing what they thought. Once beginning his nutritional approach they discovered a vast improvement in their health. All herbs and nutrients are tested and dosed to your specific requirements, so you are assured safe and effective therapeutic results. Can You Obtain All Of Your Nutrients From Food? This is often a question of debate. However, from a clinical stand point, trying to achieve therapeutic results of nutrients from food is the equivalent of trying to achieve optimal health by taking Required Daily Allowance (RDA) levels of vitamins and minerals. Obtaining RDA levels for nutrients may sustain life, but it is highly questionable whether those levels can provide the life long, high quality of function most of us desire. A diet void of nutritional supplementation is no match for offsetting the harmful toxins of today’s environment. Every day you are exposed to toxic chemicals and heavy metals, and polluted water and air. Many consume processed junk food with artificial ingredients, and poisonous artificial sweeteners such as aspartame and sucralose. The majority of the food supply is commercially grown with pesticides on chemically treated, nutrient depleted soils. Commercial poultry and live stock are raised on antibiotics, hormones and GMO grains. Many consume toxic drugs, caffeine, nicotine and other stimulants to handle the high stress of life and then use alcoholic beverages to relax. When you consider all of this and the many other potential assaults to your health, nutritional supplementation is actually a necessity, not an option. Can Everyone Take Nutritional Supplements? Almost everyone could and should be taking quality nutritional supplementation appropriate for them. For the reasons mentioned above, today’s quality of food, even if you eat all organically grown foods, cannot supply all the necessary nutrients to provide you with optimal health. Exceptions would include those on chemo or taking immune-suppressive drugs. These people require seeking the advice of their health care professional familiar with their case. Are all Nutritional Supplements Equal? Obtaining quality nutritional products is certainly a major problem. Dr. L’Hommedieu has spent many years seeking out and testing hundreds of nutritional supplements for quality, clinical effectiveness and those that work synergistically with other quality products. Unfortunately, many national brands do not pass Dr. L’Hommedieu’s clinical standards. There is more to a nutrient than its active ingredient. This is especially true with regard to herbal products. Some of the poorest quality herbal products clinically tested are those that have been “standardized” with an active ingredient. Nature has already provided the proper ratios that are best for us. High quality herbs and preparations from them have superior therapeutic action compared to standardized products. Is It Necessary To Test Patients For Nutrients? Every nutrient will affect your body chemistry and function in specific ways, so it is important to match the proper quality nutrient with your requirements. For instance, there are a number of forms of vitamin C that can be purchased. Some will say the ascorbate form of vitamin C is the best, some claim the whole food form of vitamin C is best, some swear by ascorbic acid, yet others claim Ester C is the best. So what’s the truth? The truth is every form of vitamin C has a more or less different action on the body. As such, not every form of vitamin C will be appropriate or effective for everyone. The best form of vitamin C is one that is of high quality and tests optimally for the patient’s condition and course of treatment. 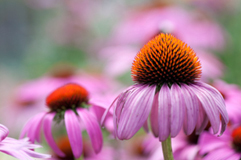 Testing is especially important for those who have allergic type responses to certain nutrients such as vitamin C, herbs or homeopathic remedies. Most often, however, the real issue is they are taking nutrients not appropriate for their state of health. When tested for the appropriate nutrients they require, these allergic type responses do not occur. The content of this material is based upon the opinions, research, and clinical practice of Dr. L’Hommedieu, who retains copyright as marked. The information contained here is not intended to replace a one-on-one relationship with a qualified health care professional and is not intended as medical advice. It is intended as a sharing of knowledge and information from the research and experience of Dr. L’Hommedieu. Dr. L’Hommedieu always encourages you to make your own health care choices based upon your own research in conjunction with a qualified health care professional.